Don’t be one of those 90-some % of the population who don’t take the time to find out who their school board leaders are, then complain when they vote to cut your school’s budget, beloved teachers, or music and art programs. Or co-locate your school. Or relocate your school. Or close you down. Or convert your school to another kind of school altogether, without your input. We sometimes tend to think THEY did this to US, not realizing that WE-the-people put THEM in the seat of power to begin with. And there are WAY more parents of school-aged children than unions or special interests in this town. It’s just that the majority of school parents have typically been mute when it comes to local voter turnout. These are OUR schools, and our local school board reps are OUR elected officials. Don’t let someone else decide it. Know who you’re putting in the driver’s seat of your child’s school experience. Ask questions. Participate. Learn. Vote. 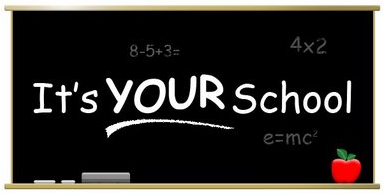 Did you know that school board reps have discretionary funds for school improvements, upgrades or pet projects? Did you also know that as an ally, your school board rep can look out for your school in a myriad of ways? Take the time to get to know the candidates and make the smart choice for your child’s education. Regardless who you vote for, the main thing is to actually vote. This entry was posted in GoMamaGuidance, PS Smart Tips, Public School and tagged empowerment, LAUSD, parent involvement, parent participation, politics, pro-active, Public School Choice, school board candidates, speak up, supporting public education, Vote by gomama. Bookmark the permalink.